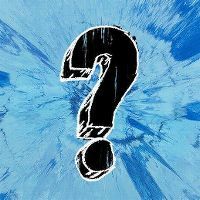 ▒ Goede plaat voorzien van een flinke bas uit begin maart 2017 door de 26 jarige Britse zanger en songschrijver: "Edward Christopher Sheeran", afkomstig van zijn nieuwe studioalbum: "÷ [Divide]" !!! Dik 4 sterren ☺!!! En toen kwamen alle songs van het album in de single-chart binnen. Dat zou toch niet moeten kunnen. Best wel een fijn liedje uit het meest recente album van Ed Sheeran. Ein absolut belangloser Titel. Sowas funktioniert nur mit Hype. Wie jetzt. There is admittedly something cute about Ed Sheeran acknowledging that he's been thrust into the spotlight as one of the biggest pop stars in the world but you can't expect him to use that platform to support a greater change, he's just a guy who writes songs, he won't pretend to know anything about the inner workings of the current political climate! But you can also look at this cynically and say that we live in the information age and there's no reason to play dumb especially when you wield such an audience at your disposal, in a craft that's synonymous with such political activism. Sheeran is no Dylan that's for sure. In the end though, ever since his recent interviews, I find myself unable to read into any of his songs without seeing it through the perspective of the guy who practically admits to making his music for a mass market, knows it will sell, and actively avoids any sort of controversy that might compromise it. So he ends up just being a boring person who makes boring music. To be fair to "÷" though, a strength I've found in it is that the songs are never indistinguishably bland, and one way to make the chart tyranny feel valid is the fact that the songs feel like they could be hits in their own right to some degree, every single one of them. This song has always stuck out to me purely because the tempo and stripped back nature of it reminds me so thoroughly of Sun Kil Moon's "I Love My Dad", a song that's too earnest even for Sheeran. Something which became more incidental when the most circulated (scathing) review of "÷" came from the same woman who Kozelek was sexually harassing some years back. When someone's been through that, you can understand why they might not be too kind to another guitar bro who gets away with such grotesque lyrics. Passt schon! Der gute Ed macht sich Gedanken über den Sinn des Lebens. As a cynic who thinks music can't and won't change the world, I appreciate te title drop at the end of the chorus. Without that it'd just be a failed inspirational track, albeit with an enjoyable melody. This way, it can still appeal to people who like those, as they can interpret it their way, and it can still appeal to me, because I can interpret it the way I prefer, even though I know that's probably not what he was going for. Eignet sich im guten Sinn auch für die Fußgängerzone. Das ist wohl der beste Song des overhyped-Album. Endlich mal ein Song auf dem Album, wo ich sagen kann, der passt.